Allright Bob! Patiently waiting for a flare video! It seels a glow had channeled to the side of the barrel? Yes, I’m pretty sure it is a welding pin hole close by. It doesn’t take much to start the char to light up, it loves the big O. I had my suction blower at full throttle to get the 3 foot flame out the gas flare nozzle. Yes for sure there will be a video. I have had some thoughts about a snuff system, water would be cheapest but that would make a HUGE steam cloud. 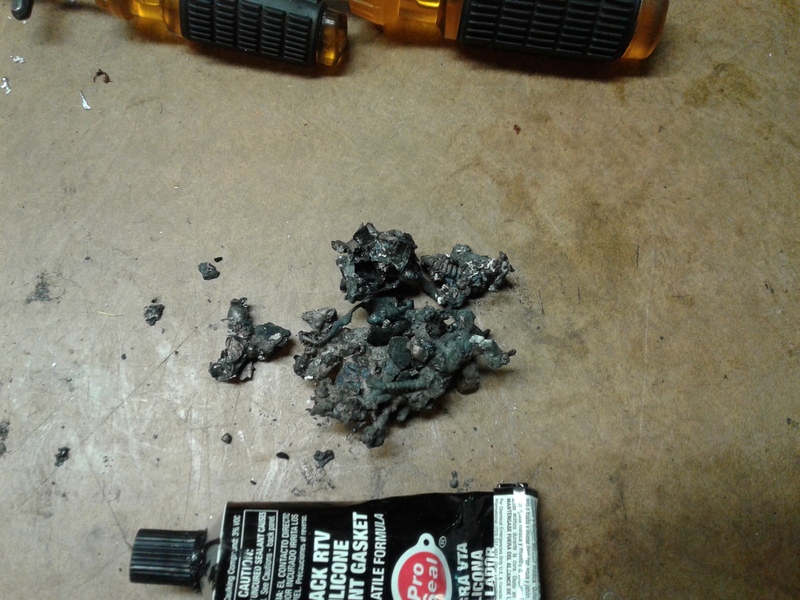 You are so right, if the charcoal can get air it will burn until it is all gone. I put a ball in the gas out pipe to help the charcoal to smother out. If there are anymore leaks they should show up in the ash trail by the leak. It’s been 18 hours sense I shut it down, I hope when I open the Gasifier unit open all the charcoal is out. I have a spray bottle for just in case. 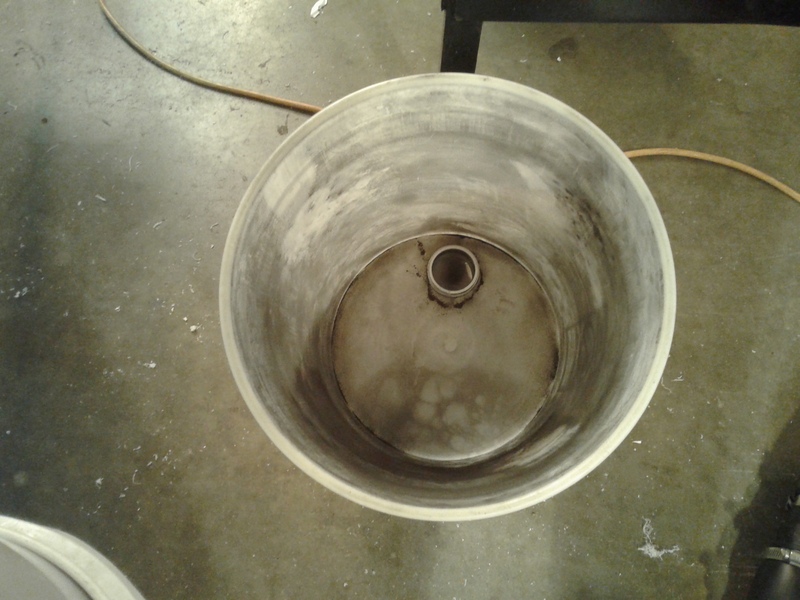 Cleaned out the Gasifier and found this right at the end of where the hot char lobe ends. It looks like I didn’t get all the nails, staples, screws out of the charcoal after retorting the wood. 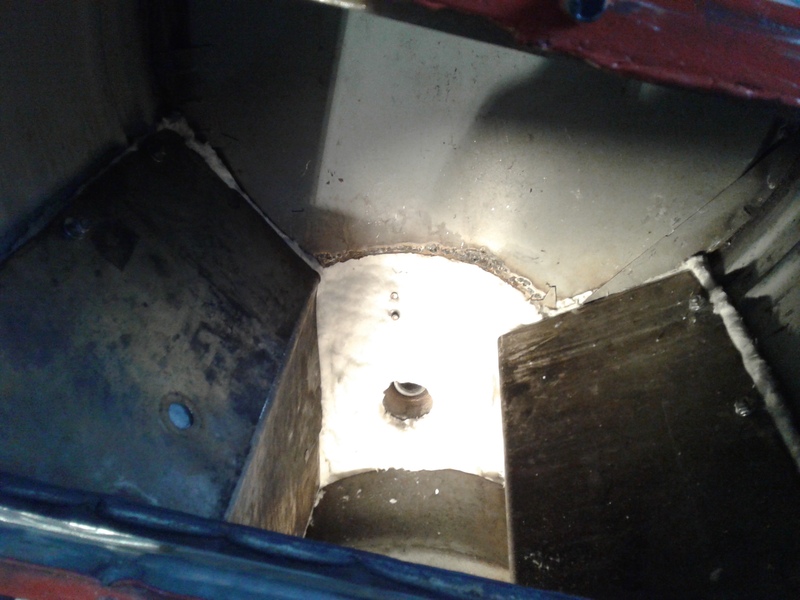 There was not a leak in the barrow just hot gas going by the stainless steel plate. 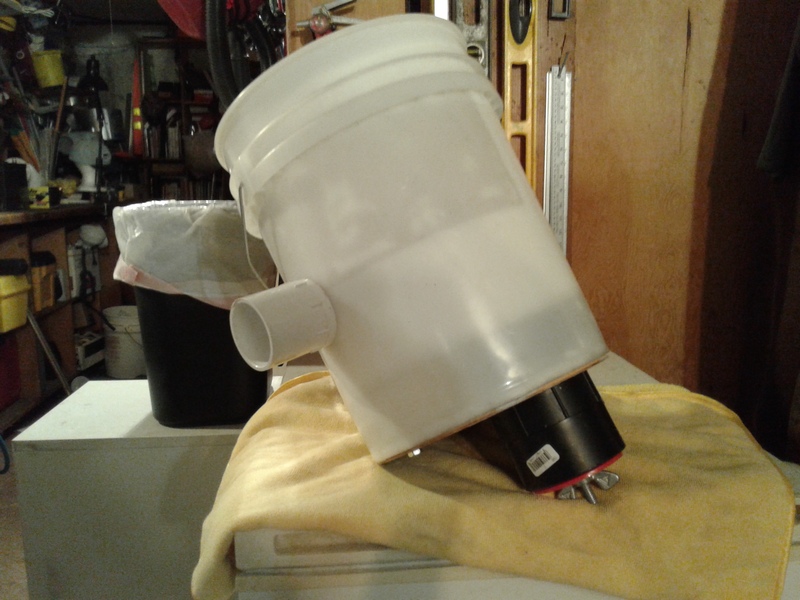 The nozzle looked good, but it was a short run, need to put a couple of hours on it. In stalled the ceramic insulation so all the gas will flow across the char bed. Next is to finish the cyclone and mount it and then hook up the cool rails. Glad the bitter cold has gone away, it’s been in the high 30’s *f today. Taking a DOW coffee break and loving it. I finally settled on what kind of filters I will be using, thanks to @Til for sharing the Generateur Gohin-Poulenc gasifier filter system. I have a lot of 5 gal. Buckets that come from the car wash that Dana’s Dad works at. 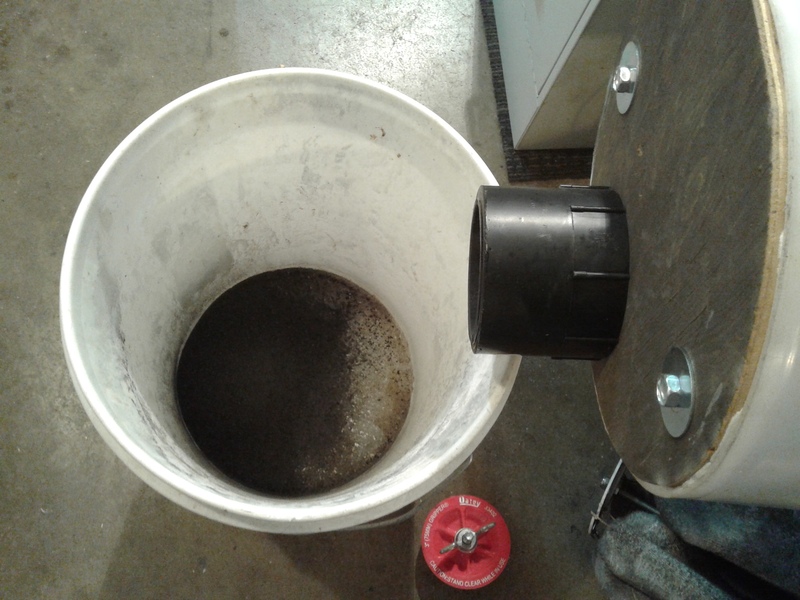 So I incorporated 2 lids put together in with a piece of plywood sandwiched between them, like WK hopper/gasifier connection. 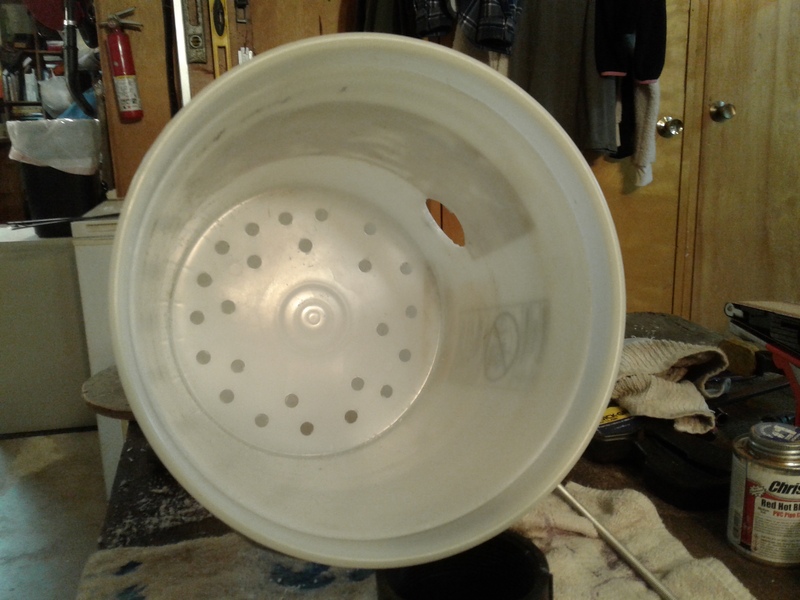 The lower bucket will be clyclone type spin with a trap space below. 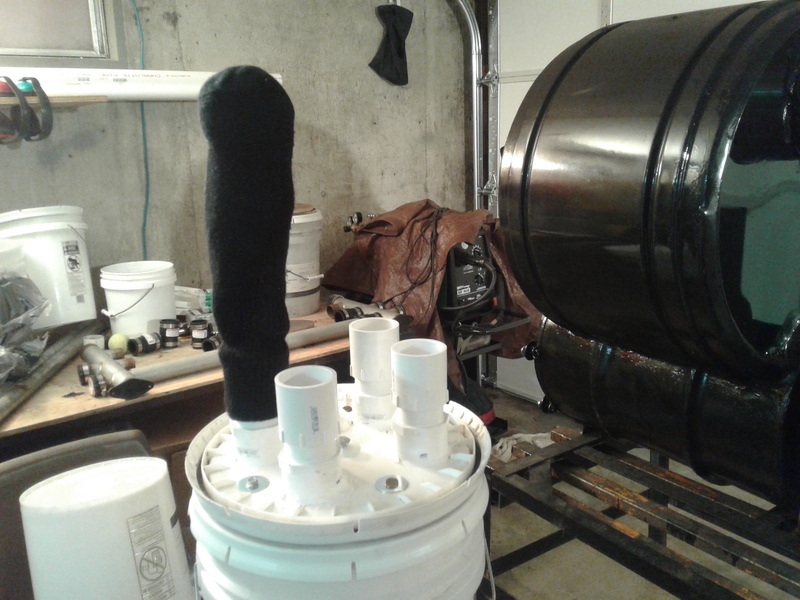 The gas will travel up through the lid tubes.into the filter bags. 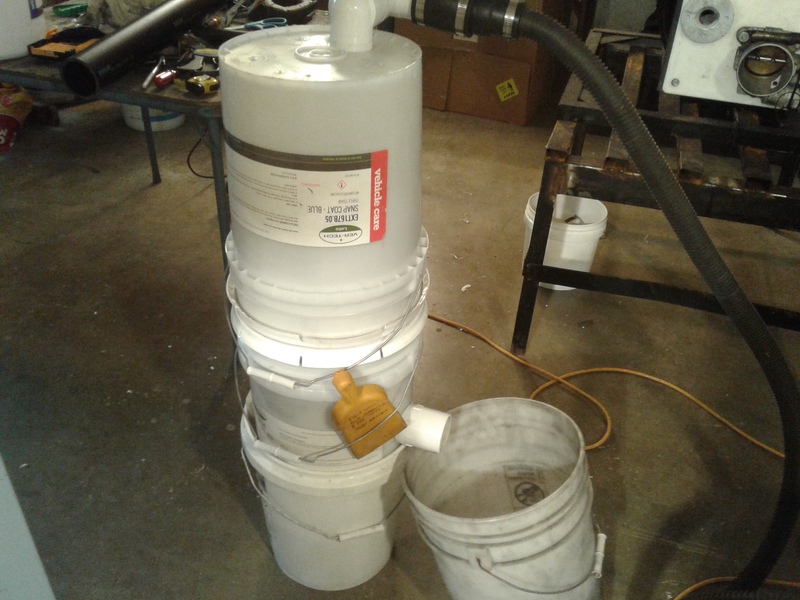 This white 90* will screw into the buckets to give the gas a spin in the bucket, had to grind it down to fit tight up against the wall. Coffee break is over back to work on this project. Looks amazeing Bob! Keep us posted! 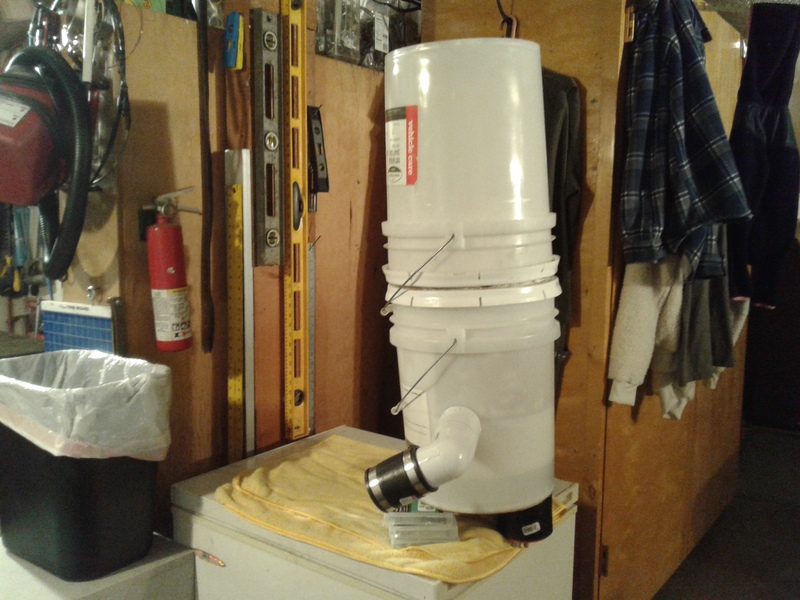 Real nice weight saving filter idea Bob. Not to mention will not rust out. 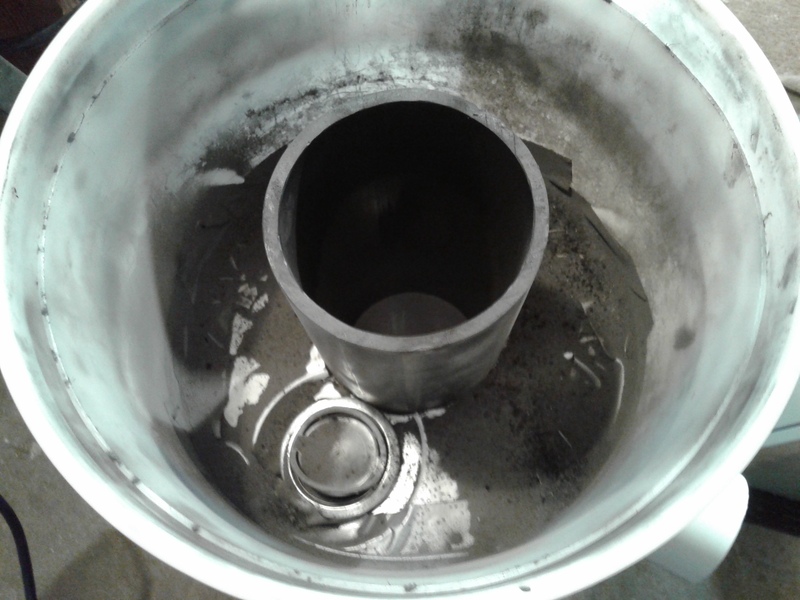 I did a little more work on the filter, installed the clycone nozzle in the bucket, and a 3" clean out in the bottom of the barrow. 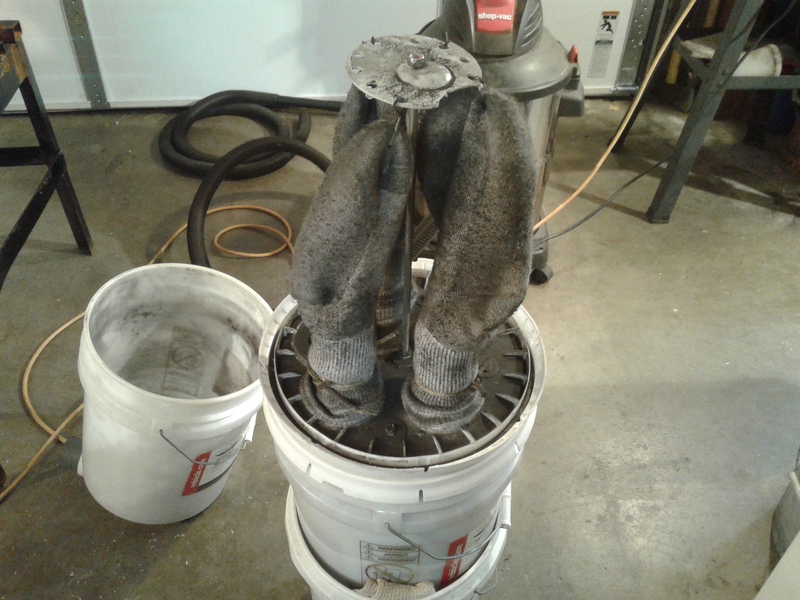 I can still unscrew and remove the nozzle for a complete clean out, but I’m thinking I can just vacuum it out and dump the ash. I need to sew up some towel bags for the filters like @KristijanL used. Finish the bag hanger rod to hold up the filter bags. 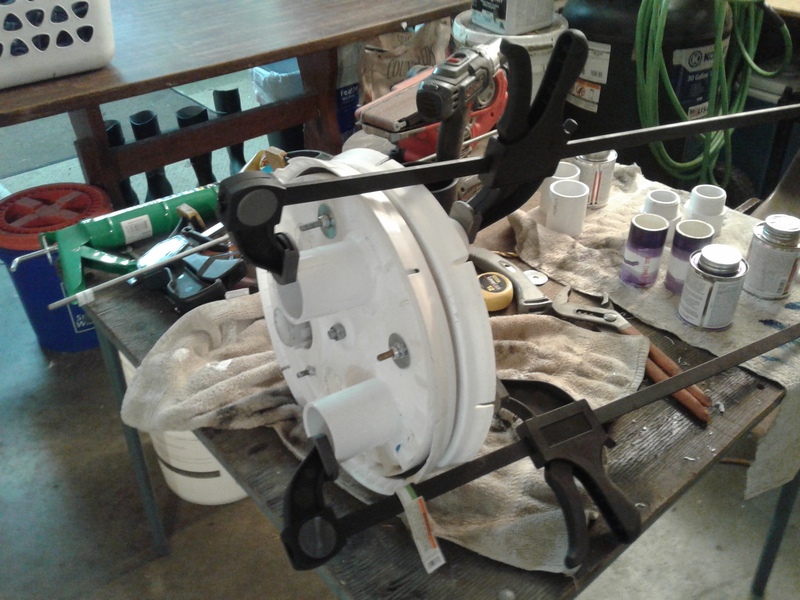 Outlet on top of the bucket, mounting brackets. Hook it up to the cooling rail. Give it the second test run. THANKS BOB i never quite seen how kristijan had his tolw bag filter mounted.seems like he had too have had some sort of cage too keep bag from closeing together , i know he ran the gas in from the outside of the bag, buy did not see how he mounted bag, or what spesific kind of materiel that worked, And wood the materiel work for wood gasifier allso. Kevin, you are right, there was a cilindrical mesh cage inside. The material was a normal thick cotton towel. 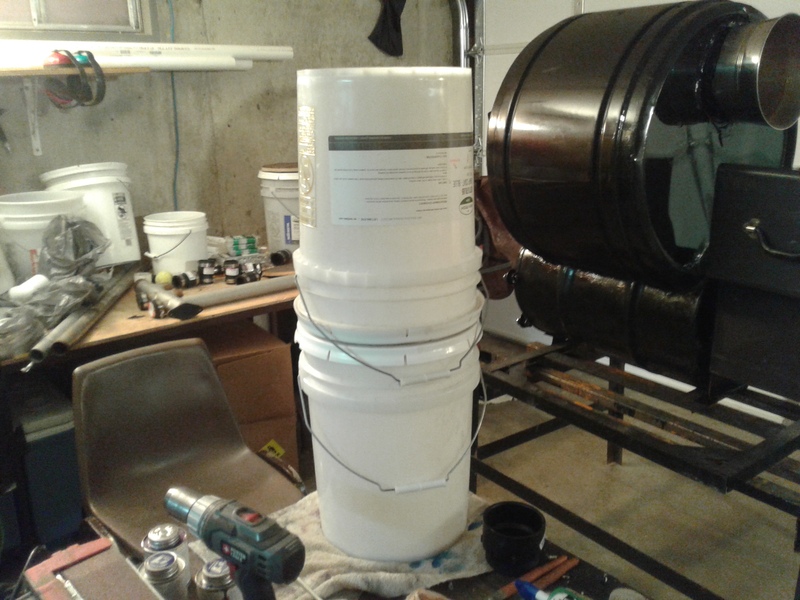 I thik it shuld work ok with your setup, haveing a condensing hopper. I had tryed it with woodgas too and it worked to a point, it was wet all the time thugh. 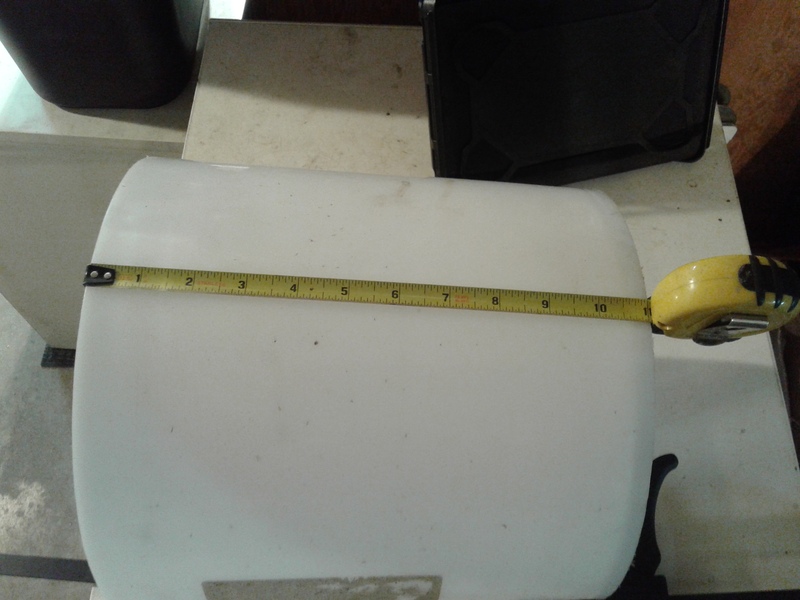 Maybe hang a 4 to 6” cyclone inside the bucket? Thank you all for the suggestion, comments, and likes. 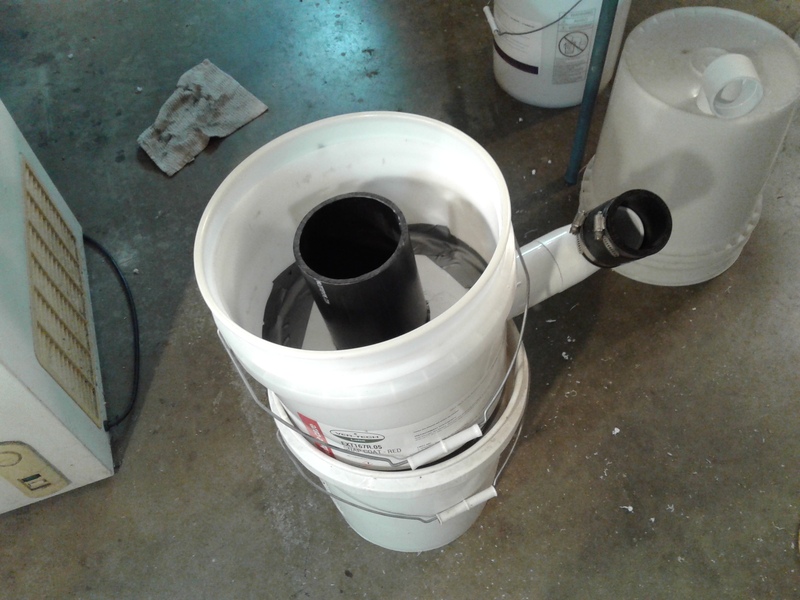 Michael, you are right about low air speed spin cyclone, a smaller bucket placed in should help separate dead air from moving air. 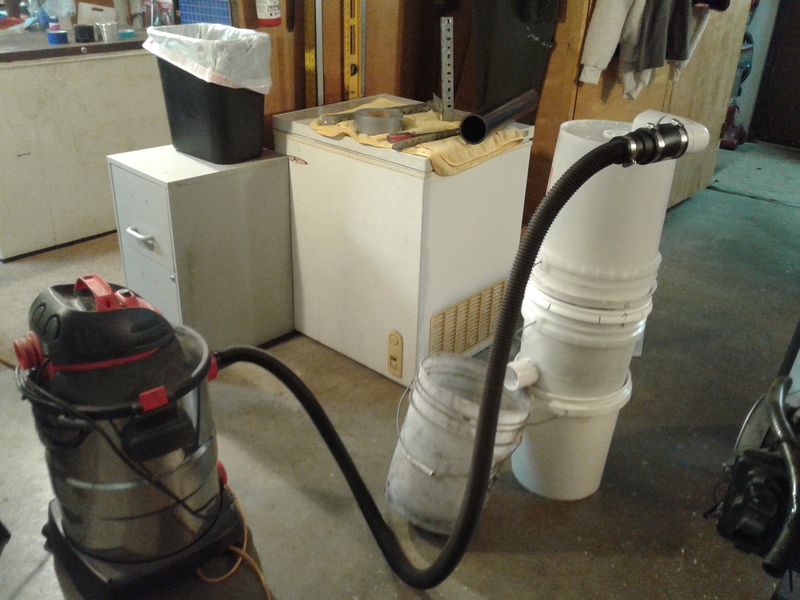 Need to hook up the shop vacuum and do some testing with fine charcoal. Kristijan, I like the cotton towel idea, easy to clean out and wash, hope Dana doesn’t mind using the washer and dryer. Ha, ha. 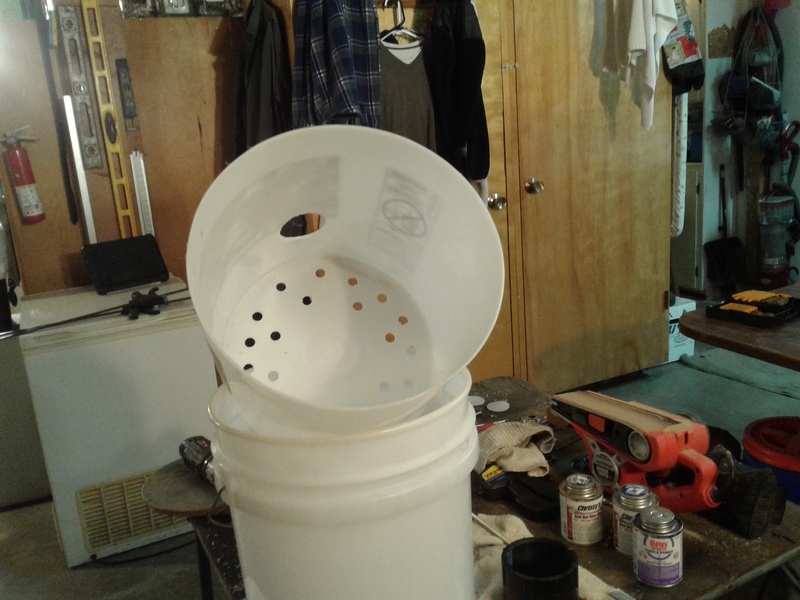 Hi Kevin, with a smaller bucket inside I could still use some other filtering wood medium will have to do more testing thanks for the suggestion. Thanks Keon, I have not ever had 104 likes before on one thing, coming from you means a lot. Breakfast and coffee is done, time to get to work on this filter. A “cyclone” doesn’t need to be cyclone shaped. 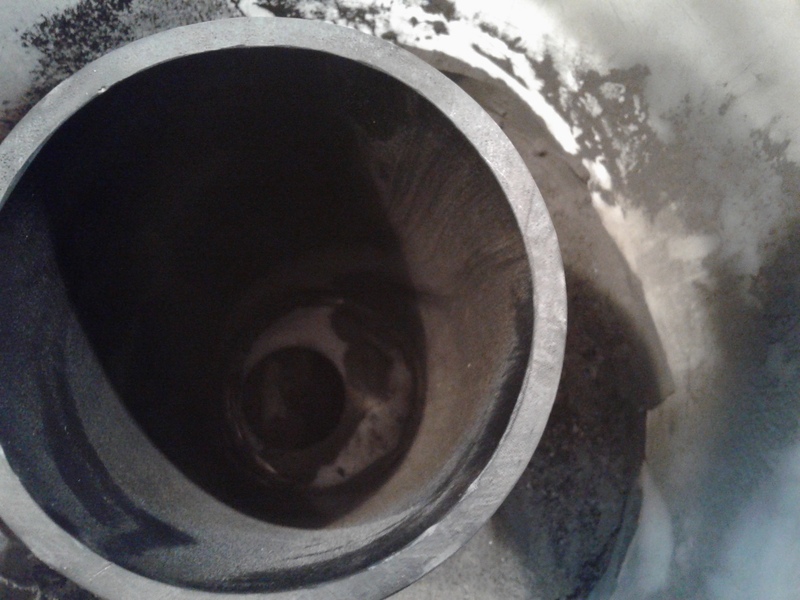 For 1 inch piping, a cylinder of 4 inch diameter and 12 inch length with a 1 inch hole at the bottom center will create a cyclone shaped swirl of gas and particles. The dust will descend and be carried by the tip of the cyclone through the hole and into the collection chamber. 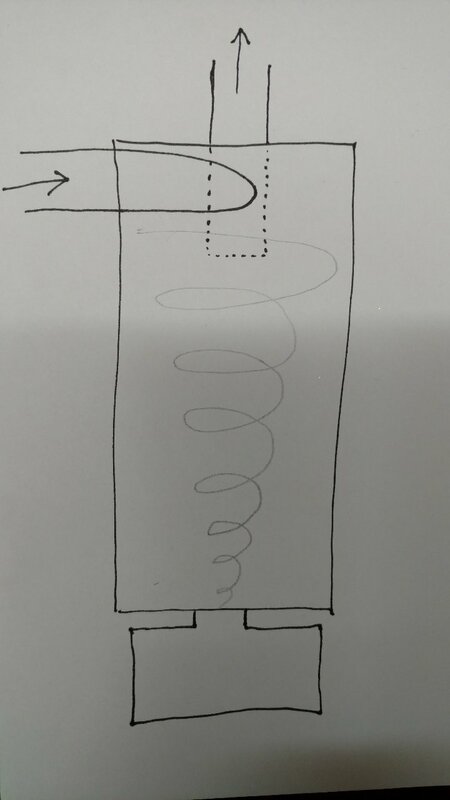 This assumes a tangential inlet near the top of the cylinder and a vertical outlet that descends into the top of the cylinder at least an inch below the inlet. Thanks Bruce, I might change it more to your sketch if my idea doesn’t work like planned. 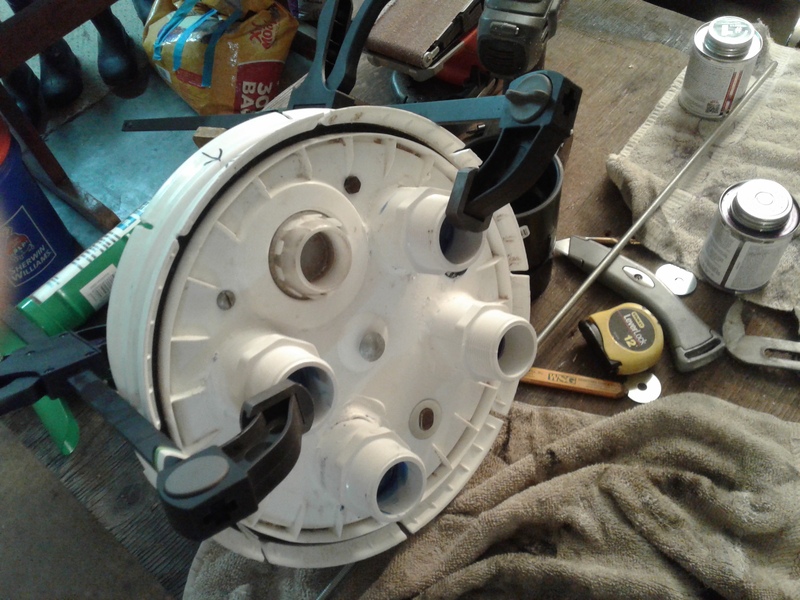 I put a 4" pipe in the center to get some air space in the middle going up with the vacuum. 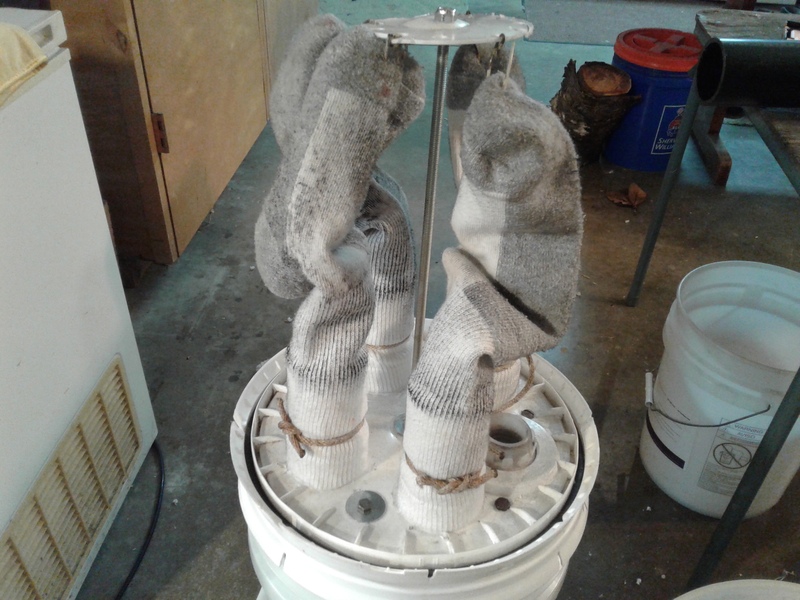 Donated some of my cotton socks for the test, if this filter doesn’t work I will have a way of charcoal activation for my socks. Guarantee to cut down on foot odors. I knew I saved this fine ash and char dust for something. 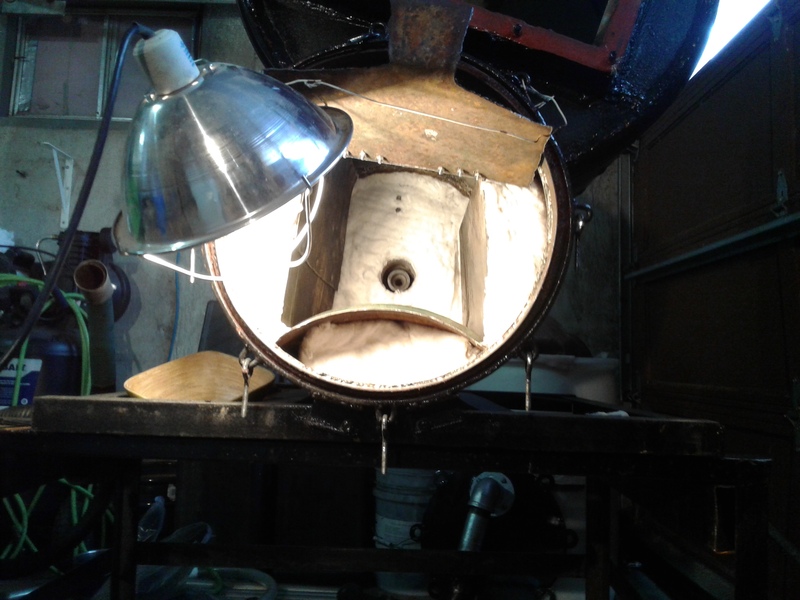 Ran about a quart of ash through, very very fine ash showed in the exit pipe. 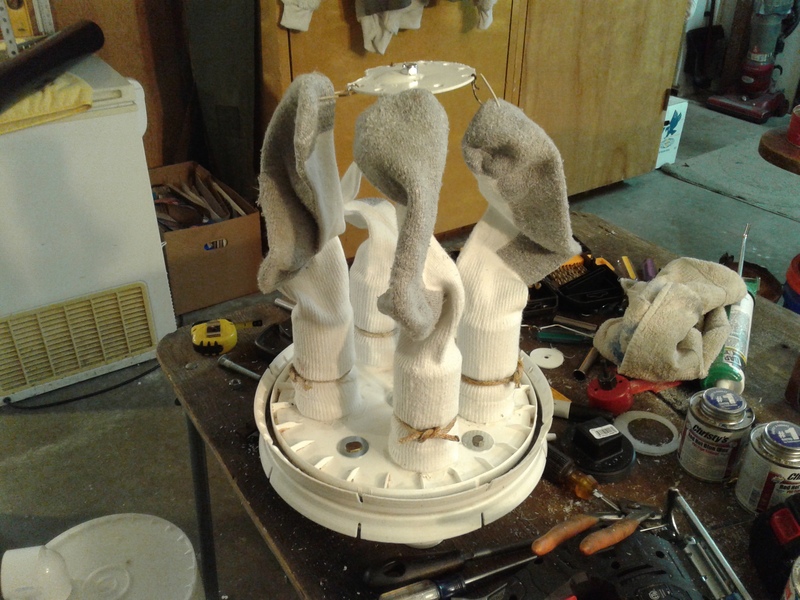 The socks and inside the upper bucket show some char dust. 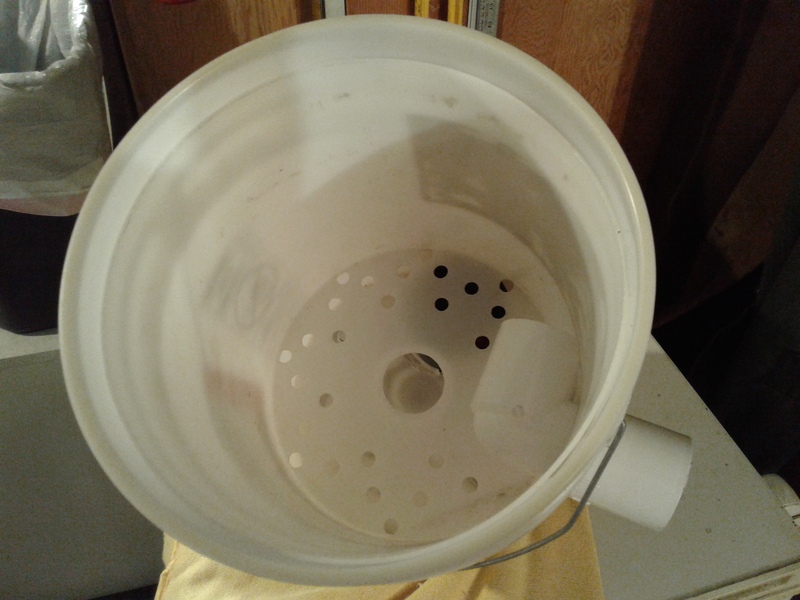 The bottom bucket separator above the nozzle had some char dust. Showing. 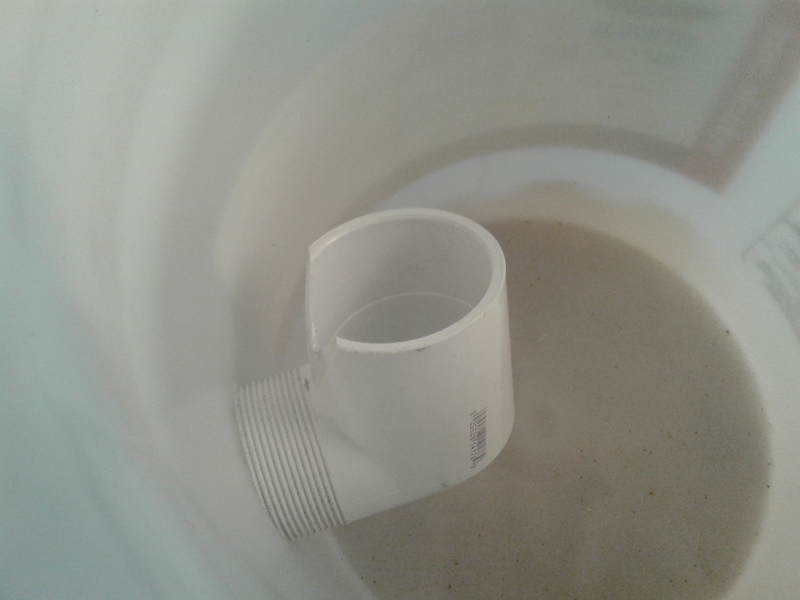 I think it is getting by the the bottom of the tube . 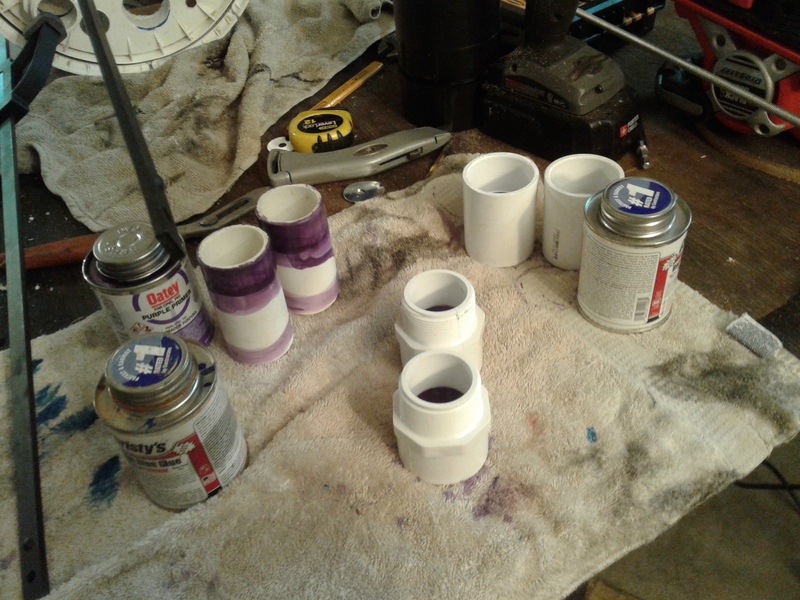 I will seal it down on the next test to the bottom plate. Cleaned everything up except the socks. Going to run about a gallon of char dust through on this 2# test. Okay now we are getting somewhere now, still very little very fine dust showed up in the exit pipe. Socks are getting full of char dust. The socks are not working as good as the towel bags will work, but they are working. 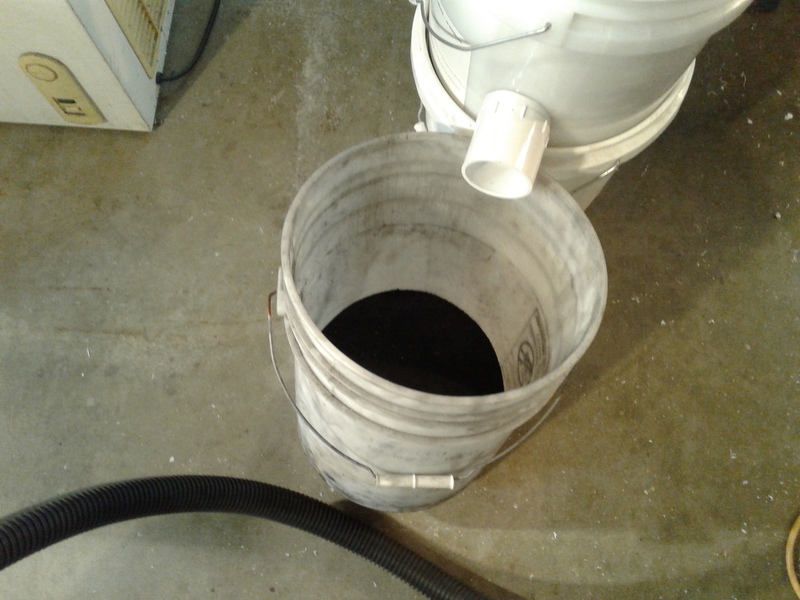 A lot more char dust show up in the bottom bucket and the lower part of the bucket and the trap area. The course char showed up in the bottom of the bucket and empty out the trap bottom. Need to wash my socks for the wet test # 3. If I remember right, @Jeff noted the same with his sock filter. He has a second fine filter after the sock. Remember, dust from charcoal gasifiers consists more of fine char and ash and is more grinding in an egine than the soot of woodgas. So you want to filter it as much as possible. Try a towel or felt. Should work better. 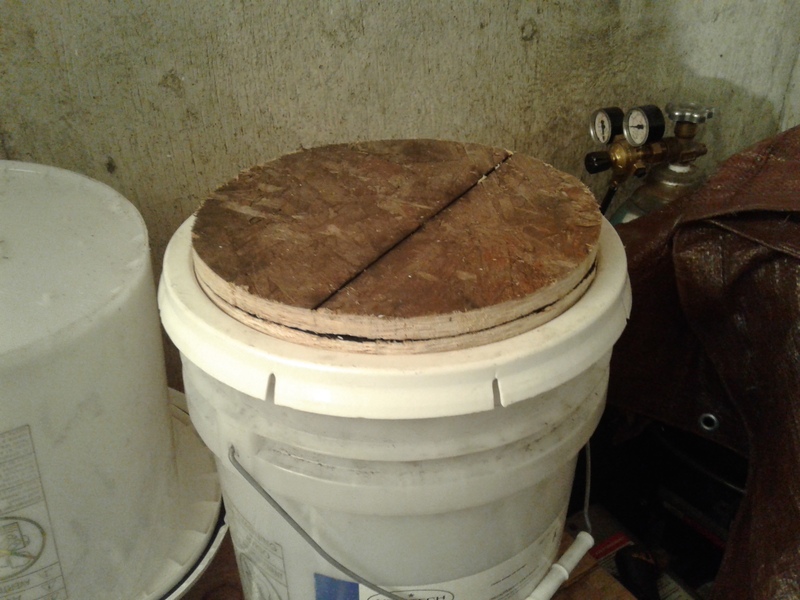 And try to stay at the dry side of filtering. 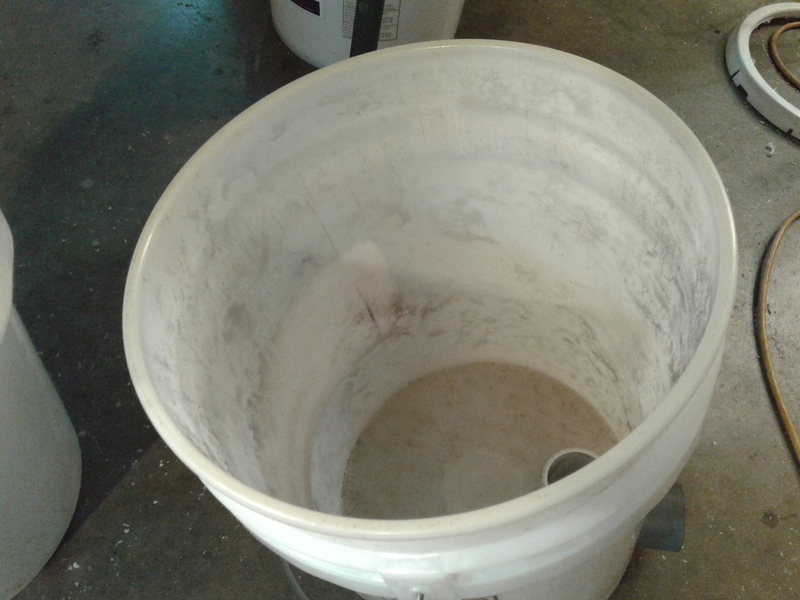 Some parts of the wood ash behaves like burnt lime if getting wet and can clogg a cloth filter. Other parts are soluble in water and can migrate through a wet cloth. Best filtering effect is acchieved with a dry filter cake on the cloth. Tube socks have the best shape. I only give a dirty sock a little shake to clean them because a dirty sock works better. Never had a problem with moisture, might work better moist. Advantage, dirt cheap at the Dollar Store and ready to go to work after seasoning. The disadvantage is that they are made of the wrong material, stretchy. Someday I will make them, myself, out of a towel. 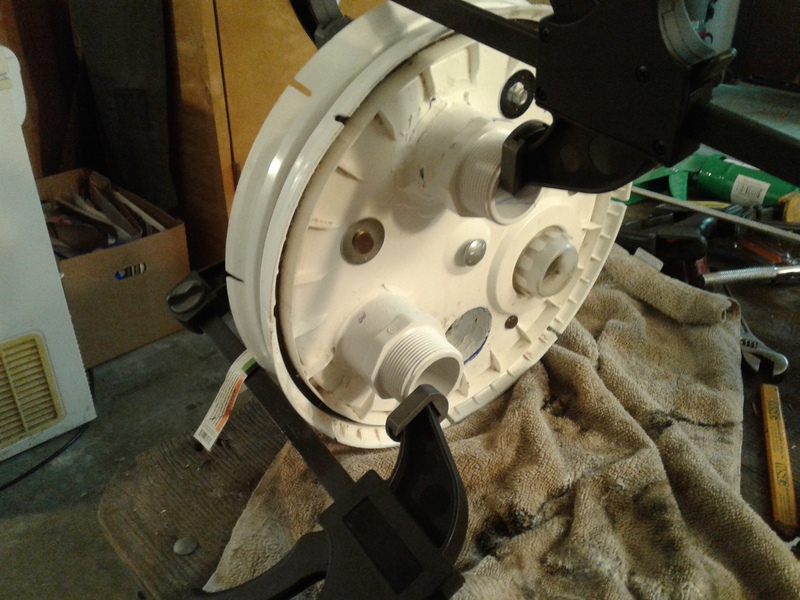 I have no plans to replace the basic design. Like the bucket idea ! ! ! 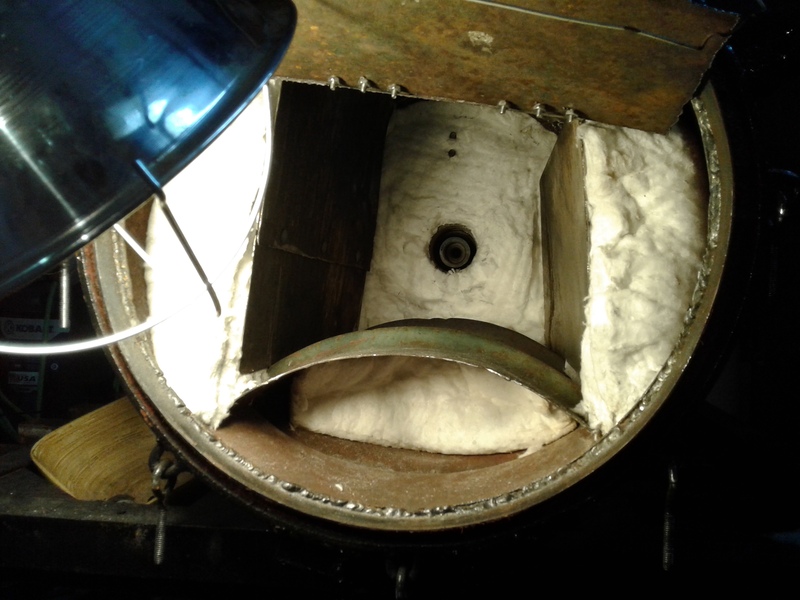 I was just about to say a certain amount of moisture is benefitial for the sack filter to work, as it makes a cake of slightly moist soot/ash on wich more soot collects. When the cake gets too thick, it falls off. There is a picture of that l posted a while back, but cant remember where. Now, on the other hand, Til is right. Ash contains lime and lye, both are not engine friendly. Specialy aluminium and zink parts. I think real woolen socks would work the best , as Gary Gilmore has mentioned woolen blanket material is the way to go and they wash out real easy .